Some times things just happen. In two weeks I'm going to an anniversary ball. At first I hadn't thought about making a new ballgown, but rather reuse one of my old ones or actually go in one of my 18th century gowns. Then I made the really fancy corset for my sister's wedding, and I want to use it again, so I decided to wear it for the ball. Only thing is that I needed a long skirt to wear with it. In New York I picked up some black silk taffeta and this weekend my plan was to sew the skirt. I had planned, and bought fabric enough, for something similar to this Truly Victorian pattern, without the train. 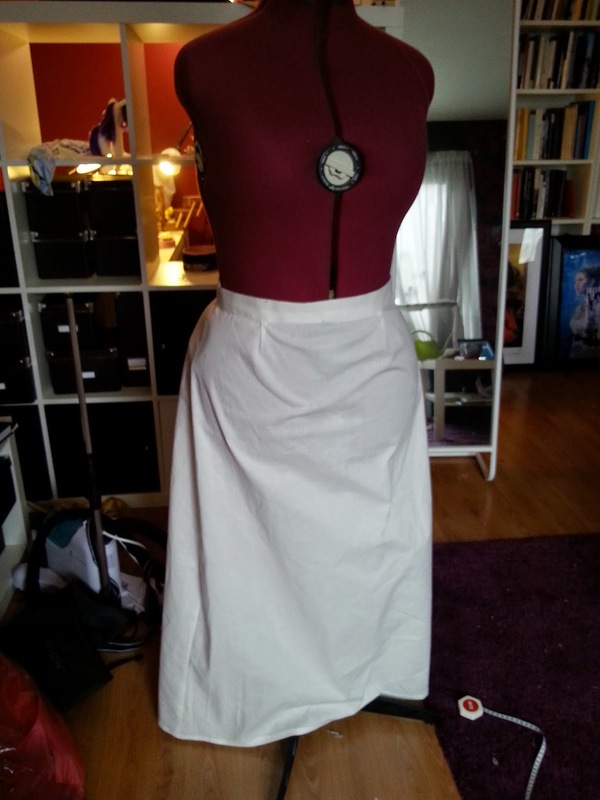 As the good costumer I am I realized that before making a skirt I need a petticoat to go with it, so on Sunday I started to cut out a simple petticoat. I didn't want to have seam at the centre front, so it consisted of three trapezoid pieces, 80 cm at the bottom and 40 at the top. The front piece was stretched fairly tight, with just two small pleats to give some room over the hips, and the two back pieces were pleated to give some fullness there. It's a actually a bit too tight over the hips, so there is some wrinkling, but that's a good lesson for when I want to make an outer skirt. And then it spiralled. 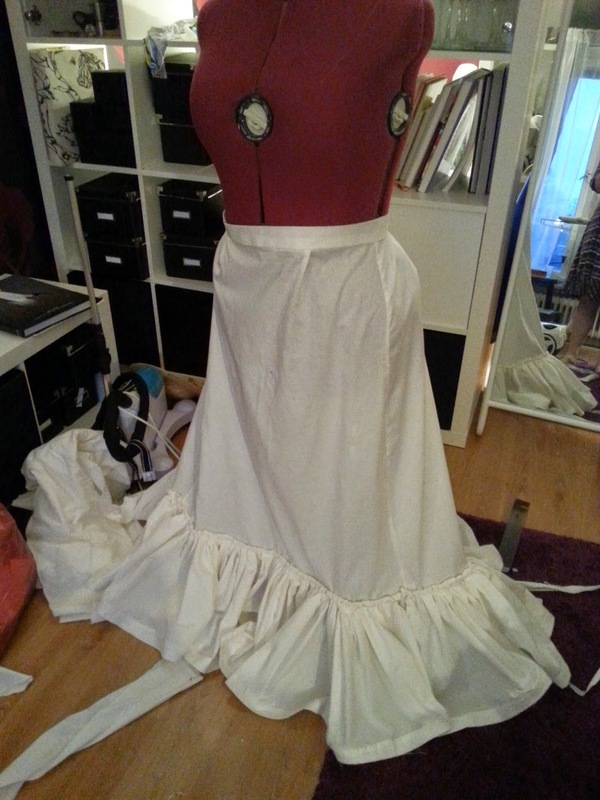 I started with adding a quite wide ruffle of the same material as the petticoat. The ruffle is about five times longer than the circumference of the petticoat hem. In order to make the hem sturdier, and also because I thought it looked good, I reinforced it by making four rows of stitch lines on it. Now unlike the originals I didn't have a lot of lovely and soft lace to go on with, but I had around three meters of cotton voile. I cut it up into strips, and gathered them as another layer of ruffles. When I started sewing them on it started to feel more like a battle with a snowmonster than a sewing project. 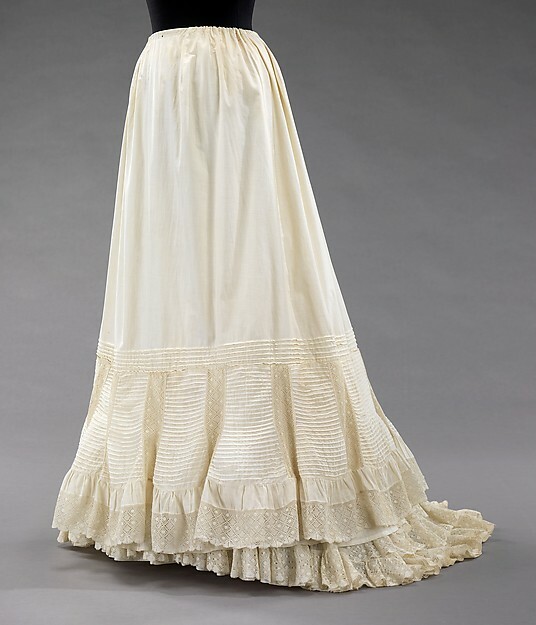 The added layer of voile ruffles made a lot to make the petticoat more airey and floaty. I even had a bit of cotton voile left, so I cut that up as well and added a small extra ruffle on the back, there wasn't enough for it to go all the way round. 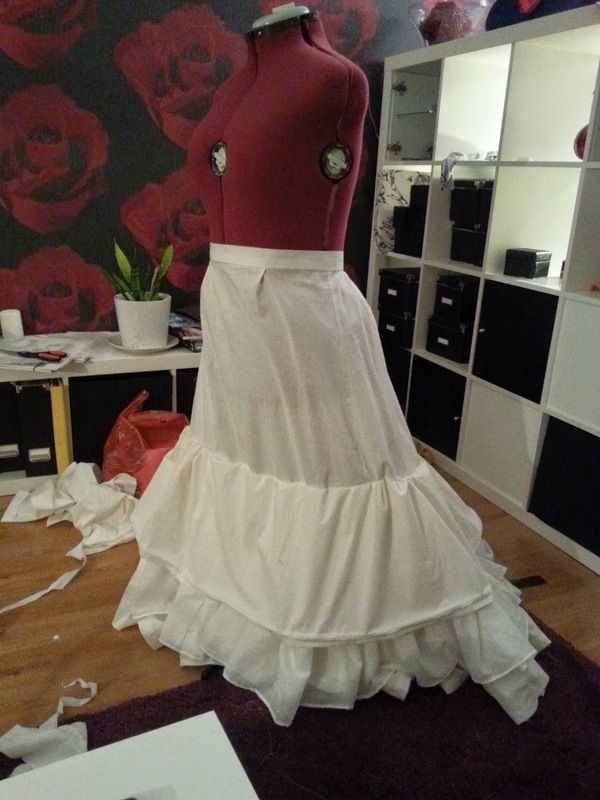 Then I wanted to add another ruffle, that was a bit sturdier than the voile ruffle. 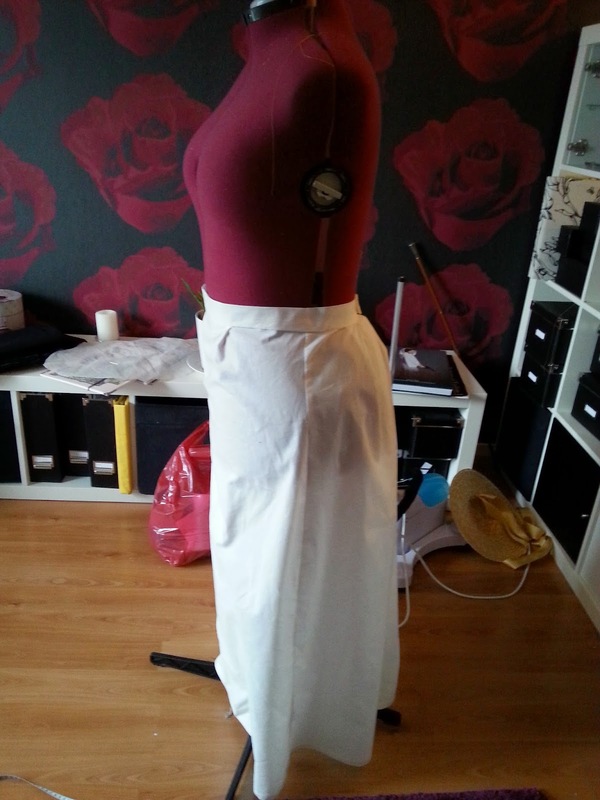 I once again used the same fabric as the main skirt. To decorate that fabric my plan was to add several rows of pintucks at the bottom of the ruffle. I used my pintuck presserfoot and twin needle, only to discover that I didn't have sewing thread that was good enough. This is a lesson learnt, the sewing thread that I had kept getting fuzzy and breaking when it was treaded to the twin needle. 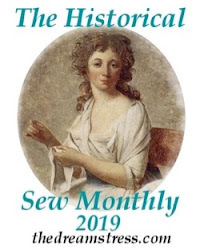 I had a tiny remnant of offwhite Güterman thread and with that one I could just sew on and on and on, but it only lasted for half a row of pintucks. With the bad thread I had to retread the machine after around 20 cm, and after three rows of pintucks I gave up. By now it was around 22, and I had been sewing since 9 in the morning. 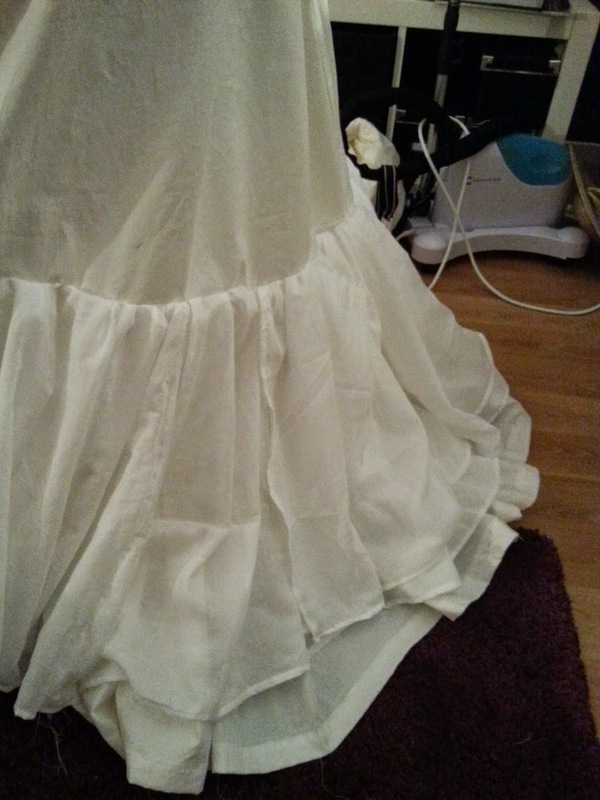 I added the ruffle on to the petticoat, without as many pintucks as I wanted. Up until the problem with the pintucks this is one of the most stressfree projects I've made in a really long time. 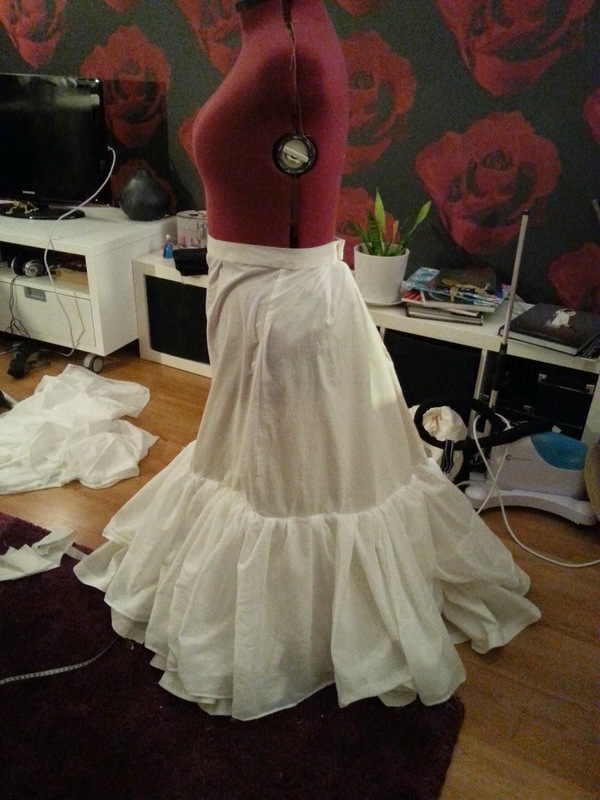 Only problem is that the petticoat is now bigger than my original plan for ballskirt, so I have to think about it. I've just flung the black fabric on my dressform, and it definitely speaks to me, but that will involve more complicated pattern making and construction that I had planned, and what I have time for since I only have a couple of weeknights to work with to get the skirt done. 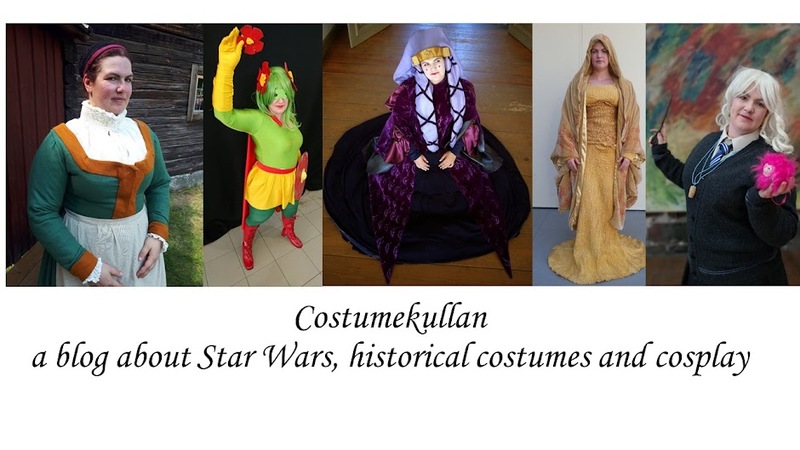 How historically accurate is it? The fabric and style is correct. 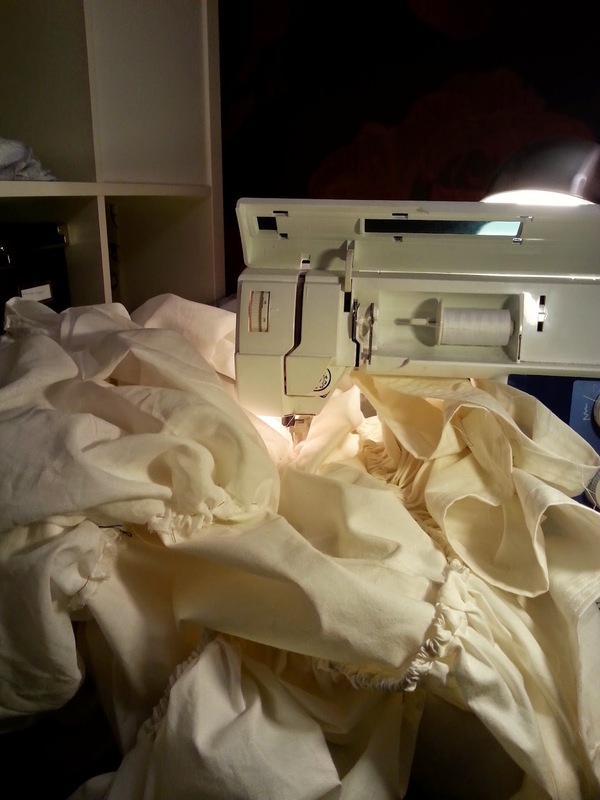 I did use modern presserfeet to help with sewing the ruffles and the pintucks, so I would say around 80%. 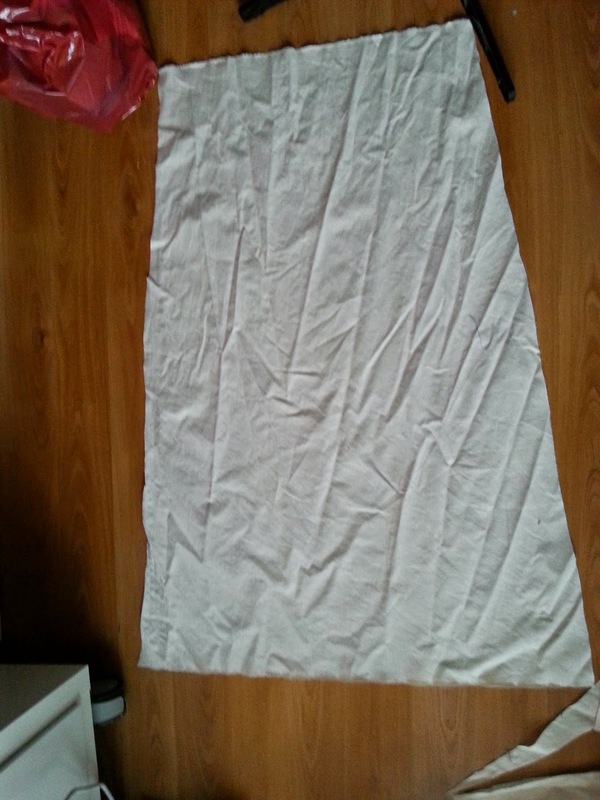 This will be the foundation for a ballskirt, I'm already thinking about how I can use that skirt to make some kind of 1890s ensemble or steampunk outfit some time in the future.